I still remember those 11 words vividly. It was 2004 and I was in the swanky office of Mike Soutar, Editorial Director of the biggest publishing company in the UK at the time, IPC Media. Mike was already a bit of a magazine legend by this point, having famously taken FHM from being the worst-selling title on the UK newsstands to a publishing phenomenon that, at its late-’90s peak, had been known to shift over a million copies a month. Anyone who’s ever worked with him, or seen his cameo appearances in The Apprentice, will know that when Mike speaks, you listen. Mike was sharing his views on what made a magazine great, and his bite-sized mantra summed up the importance of treading the fine line between creativity and brand familiarity, and the lengths that talented people in publishing go to in order to keep their audiences entertained, informed and – most importantly – coming back for more. To me, these words represent the cornerstone of what content marketing can still learn from publishing. Some people in the digital world have a certain perception of magazine publishing, looking at it in a slightly condescending fashion as if the notion of printing information on paper is akin to some sort of antiquated, content-led version of Downtown Abbey. But while many aspects of modern publishing are about trying to make a slightly outdated business model profitable in the internet age, dismissing everything about publishing as irrelevant is not only massively ignorant but a huge mistake. For a start, you wouldn’t have content marketing without it. "1. Stop, collaborate and listen"
In October 1996, when I started my first job in magazines having just left university, there was no internet in Emap’s offices. Sometime during the following year a chap from IT walked into the office, grinning smugly to himself. “I’ve got something to show you,” he said knowingly. Everyone gathered around a bulbous purple iMac as he opened up this weird little icon thingy that had ‘Internet Explorer’ written on it. Then he explained what it was. We all sat there wide-eyed as he went to a website called Ask Jeeves and tapped in a random question, which was answered within a few seconds. He’s just asked the computer a question! AND IT ANSWERED! It felt a bit like our generation’s Moon Landing. Yet even before this seismic moment, publishing had for years been honing the working practices that would go on to influence content marketing throughout the Noughties and beyond. No internet had meant no email, which in turn meant that publishing’s most successful, creative content had always relied on one simple thing: face-to-face interaction. It’s still an unbeatable way to work with people. We’ve all experienced colleagues who’ve spent an hour trying to write a detailed brief over email to send to someone who sits less than 10 feet away – a brief that could easily be misinterpreted or have important components lost in translation. It’s easier to just go over, sit with them and talk about it. The great thing about the best magazines is that because this is what always happened pre-internet, it’s a culture that has largely been maintained. The recent woes of the publishing industry have made it easy to think that underneath this dark cloud of uncertainty, job losses and diminishing copy sales, creativity has somehow ceased. Maybe you could make the case for there being less of it around, but it’s still there if you know where to look. Pick up a copy of National Geographic, Time, Cyclist or Empire and tell me they’re not creative. 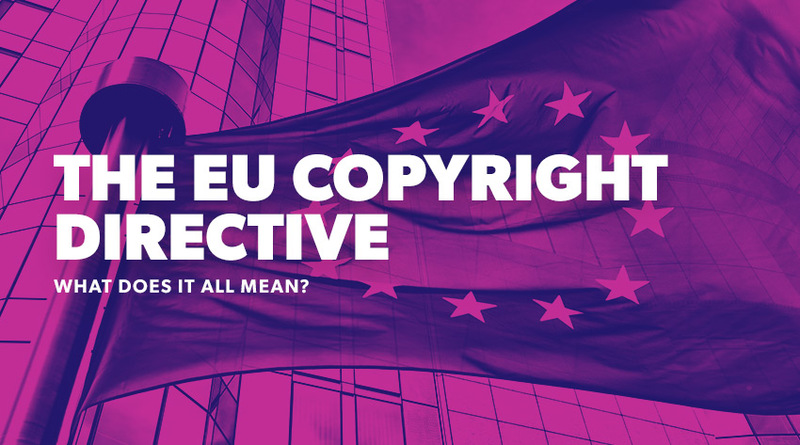 The refusal by the best minds in publishing to be cowed by the gloomy implications of the industry’s future is a lesson to those in digital content: however difficult the circumstances, don’t let it stop you thinking of great ideas. They’re still the most valuable currency you have. Take Empire, for example. This is a magazine that, despite publishing’s difficulties, continues to fly. Their contacts book bulges to the extent that they’ve previously had Steven Spielberg as Guest Editor. They get so many exclusives that if you were in charge of their main rival, you would probably leave the office every night by canoeing through a river of your own tears. And yet a few months ago they still pushed the bar even higher. Their December 2016 issue coincided with the film release of the Harry Potter spin-off, Fantastic Beasts and Where to Find Them. 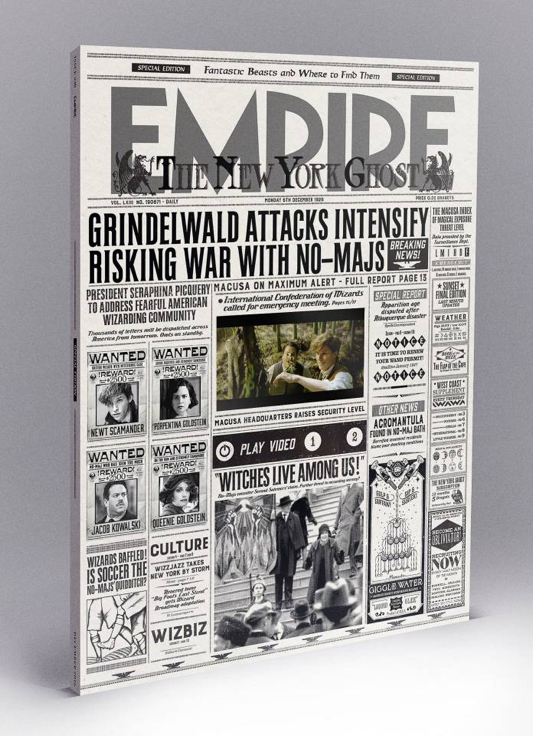 In addition to the traditional copy of the magazine, they collaborated with Warner Bros to produce 5000 special editions that came in a unique box designed as a cover of newspaper The New York Ghost from the film. In the middle of it sat a screen which showed two videos: one with the movie’s trailer, the other with interviews and behind-the-scenes content not found anywhere else. The screen was even chargeable. Costing £9.99 an issue, it was only available in selected Sainsbury’s and they sold out quicker than you could say JK Rowling. “We love to innovate and constantly push the envelope creatively,” says White, somewhat understatedly. The lessons from this unrivalled offering of content that was unavailable anywhere else are two-fold. However hard the circumstances, if you think of a great idea, execute it brilliantly and get it to the right audience, you’ll win. And even if you’re on top of your game, you can always go higher. Empire’s incredible recent cover for the release of Fantastic Beasts and Where to Find Them – complete with a rechargeable screen in it. Of course, a great idea like this Empire one doesn’t just pour out of someone’s brain as a fully finished, fleshed-out concept. These ideas take time to mould and turn into a refined version of the initial thought that started as a hazy image in someone’s head. This is where good people in publishing have again used a slightly more old-fashioned yet unbeatable technique to articulate their ideas: drawing. Predictably, Soutar was a real master of this discipline. He’d himself sit down with writers and designers and sketch out the most detailed, perfectly weighted pages which instantly described what the precise vision of the idea was, way more effectively than an email or even spoken words could. Mike was not a designer but his handy sketching prowess meant that no one was left in any doubt as to how he thought the task in hand should be tackled. Similarly, Bike magazine’s art editor, Paul Lang, is an absolute master at turning a vague idea into a detailed sketch within minutes. I guarantee that Empire’s video cover started life as a series of ingenious drawings which soon turned into proper mock-ups to show to Warner Bros.
It’s a great skill because whether you’re working on a feature for Closer or a content marketing campaign for Coca-Cola, successfully articulating your ideas to your colleagues is key. Those from a design background are often handy when it comes to drawing but if you’re more used to the confines of Excel or Microsoft Word, it’s a great skill to work on and refine. Again, it’s another area that certain naysayers in the world of digital might view as somewhat olde-worlde, but you can’t do everything on a touchscreen can you? 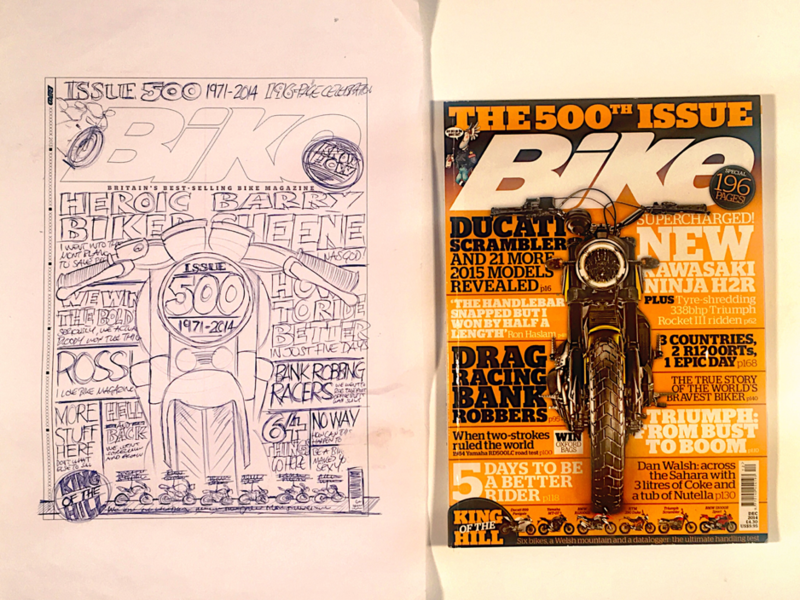 Bike magazine’s momentous 500th issue cover started out as a fantastically detailed sketch by art editor Paul Lang. The battle to get people to pick up a magazine and take it to a till is just as cutthroat as the online war over eyeballs and clicks. The magazine industry has long been a great source of good ideas, but they need to be presented in a certain way. Even now, there is still much to learn about the formats in which ideas are packaged. Digital content has always had an obsession with the listicle, a great amusement to magazine stalwarts who’ve used it as a device for decades. Even after ‘Top 100’ features became over-used, you soon had women’s magazines moving things forward with cover-lines like ‘439 Best Summer Shoes (the inference being that they had exhausted every corner of the globe to bring you the definitive collection on the subject matter in hand). Even infographics, honed and crafted for the modern age with InDesign and PhotoShop, are nothing new. Bar graphs and pie charts were around before the 1800s. Florence Nightingale used infographics in the 19th century in a bid to persuade Queen Victoria to back the improvement of military hospitals in the Crimean War. 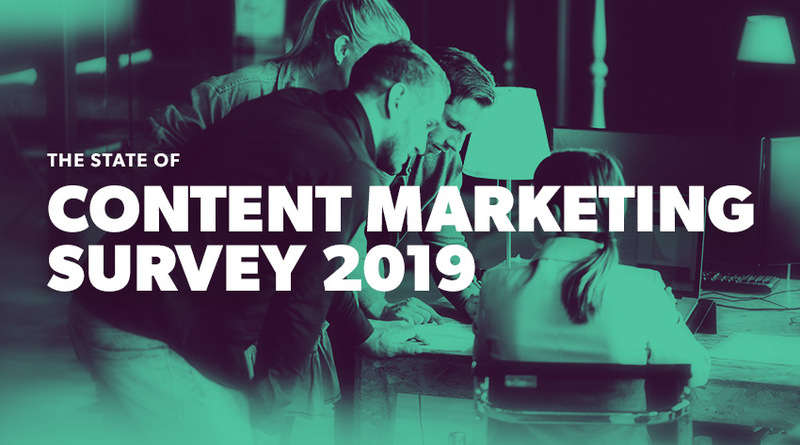 But while the world of digital content has always been fascinated with listicles and infographics (routinely joined, of course, by the ubiquitous Q&A interview), there are plenty of others. Go and pick up a random magazine from a sector you have absolutely no interest in and the chances are it’ll spark an idea for how to present a new content idea. While you’ve got that magazine in your hands, look at it more closely from beginning to end. If you’ve picked up a good one you’ll see how all the content flows properly, effortlessly flitting from bite-sized chunks to in-depth interviews to single-page advice columns to sweeping pictorial features. That’s effective content flow, and Mike Soutar’s 11-word mantra in action. 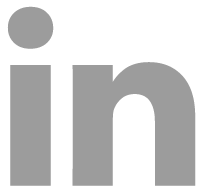 Invented by publishing and tried and tested for decades, it’s a concept that now helps to shape the content strategies of the biggest brands in the world. The age of digital has magnified one of the problems that publishing has experienced, namely the rate at which ideas are churned through. Women’s glossy monthlies used to have fashion, celebrity interviews and beauty all to themselves every four weeks – then weeklies came along which did exactly the same content, only four times as often per calendar month. The digital age has accelerated this, given that online content can be released as often as its creators see fit, rather than organised around a pre-defined print slot. The Mail Online often publishes over 2,000 posts a day. 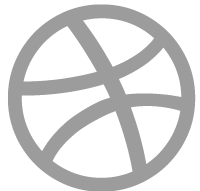 What it’s done is make the internet a blizzard of content in which it’s much harder to stand out. Yet the best minds in publishing, compounded by a battle-hardened resilience refined over several decades, have always strived to make content that cannot be copied. The Holy Grail in magazines is the ‘Indefensible Franchise’ – a slightly grandiose term for a regular feature whose identity is so unique and intrinsically linked to that brand that even shameless thieves cannot bring themselves to directly rip it off. Whatever fancy title you want to give it, a brilliant idea that can’t be copied is an incredibly potent weapon. The point of these franchises are two-fold. One, they showcase the creative talents of the title in question. Two, they are a reason to return every issue, helping to reinforce the sort of brand awareness over time that companies pay thousands for. In a world of unbelievably crowded content on every available platform, being known as ‘the magazine with the Approval Matrix’ is no bad thing. 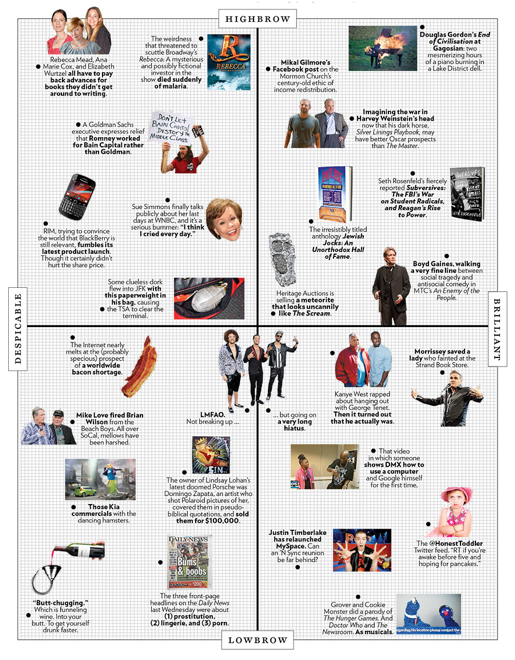 The New Yorker’s ‘Approval Matrix’: a magazine ‘franchise’ that’s brilliant, unique and almost impossible to copy. These great ideas, franchises or otherwise, have to come from somewhere, and even amidst its well-documented woes publishing is still teeming with the thing that makes it such a great industry: passionate, talented people. There’s something about seeing your name in print that perhaps you don’t get from a byline above one of the eight million listicles on the internet, although that’s not to say that you can’t get that same buzz from a content marketing campaign. Speak to a designer who’s slaved away for several hundred hours on an interactive infographic and see the response you get. “Instinct and an all-consuming passion are what make any editor great,” says White, but it’s true of anyone who’s good in the digital world. Making a truly great piece of content is very hard to do without going the extra mile. But publishing’s great success stories don’t just have passion – they mix it with a knowledge and audience insight that can be a potent blend when combined successfully. “Look at a magazine like TV Times, which still sells 200,000 copies a week and is twice as expensive as some of its rivals,” says Cowles. 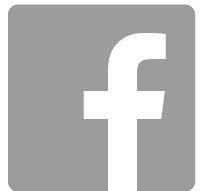 “The fact that people are still prepared to pay for that content shows that they know exactly who their audience is and how they’re different. 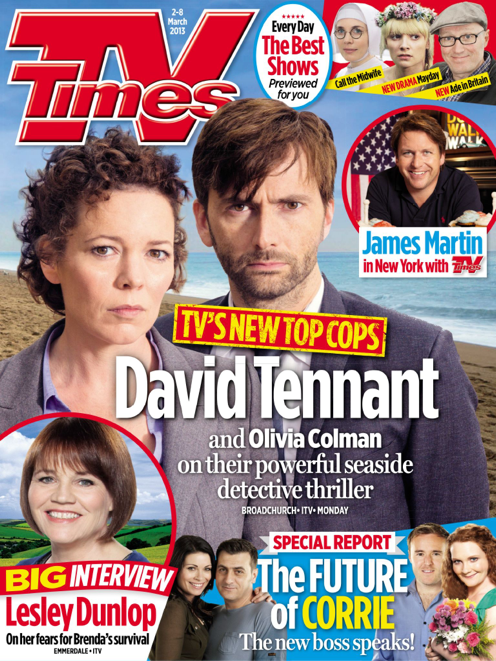 TV Times: one of the magazines proving that giving audiences a unique take on mainstream subjects is the key to great content. Data. Tools. Metrics. The modern digital landscape sometimes feels so scientific it’s a wonder that there’s room for any creativity. 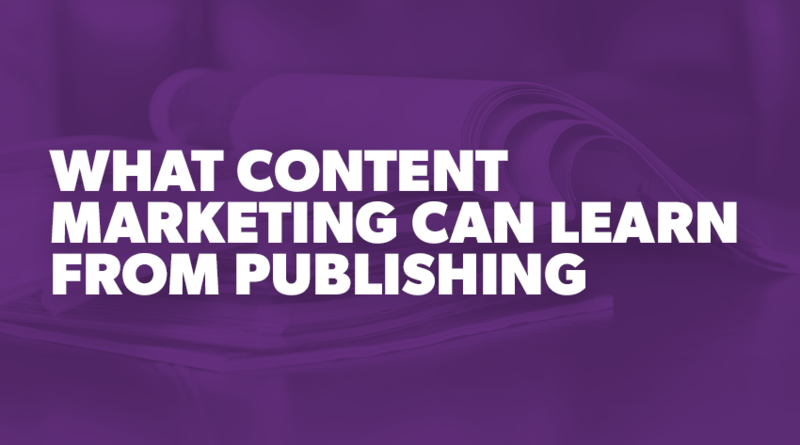 But if content marketing’s purpose is making killer content for the right audience, then publishing’s been doing that for decades – without the luxury of an arsenal of analytical tools for the most part. In magazines, people often still trust the greatest tool of all: instinct. One of the things it leads back to is audience, an area that’s so fundamental to both publishing and content marketing that to ignore it means you might as well flush that swanky new piece of content you’ve just made straight down an interactive, digital toilet. Good magazines have always had a comprehensive, instinctive knowledge of their audience, way before social media made interacting with them so much easier. Advertisers, predictably, have caught on. And it clearly resonates with the people who matter. Today, Evo’s YouTube channel has nearly 560,000 subscribers. Its closest rival on the newsstand, Car magazine, is yet to hit 50,000. By any standards, that is a monumental shoeing in the know-your-audience stakes. All this is not to say that publishing is a virtuous paragon of unrivalled creativity and faultless cultural processes. There’s a lot that the digital world can learn about how not to do things, which are just as important lessons as some of the positives. Anyone who’s worked in publishing will have noticed that among the creativity that still flows, a creeping cynicism has unquestionably infiltrated the industry in recent years. It’s hardly surprising given the landscape of falling sales and reduced budgets, but part of it is to do with the fact that publishing has simply been around a long time, and so have many of the people still involved in it. Stay in any job too long and the wide-eyed enthusiasm you had in your first few months always has the potential to erode into something more caustic. Publishing is littered with people who were there in the ‘good old days’ before the internet, when the word ‘content’ simply meant ‘happy’. Magazines sold loads, advertising revenues were through the roof and Google hadn’t come along to ruin the party yet. 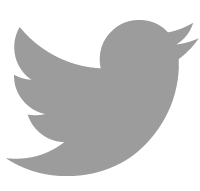 The benefit in the world of digital and content marketing is that, in the great scheme of things, it is still very new. It is generally exciting, upbeat and, to a significant extent, staffed by a demographic who haven’t yet had time to think that everything is rubbish and awful and terrible and depressing and rubbish. 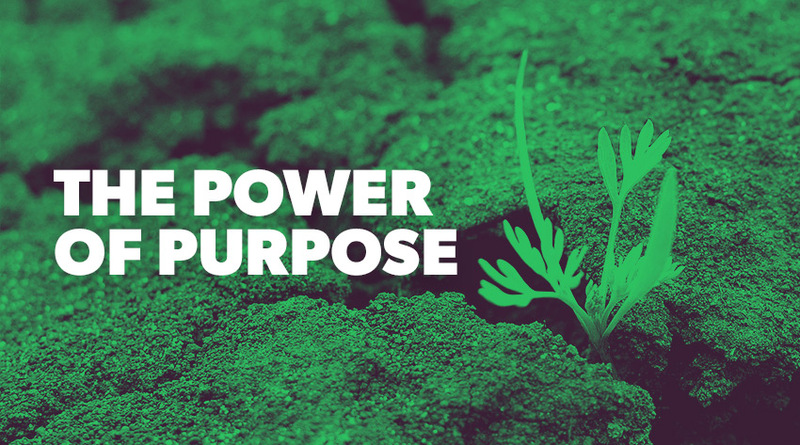 Digital agencies and online content creators should work hard to harness and maintain that energy, because the alternative can only result in content that, ultimately, won’t be as good as it should be – and won’t satisfy either the audience it’s aimed at or the brand paying for it. Creativity, communication and good old-fashioned fighting spirit – none of it’s revolutionary, but publishing continues to prove that sticking to sound, basic and proven principles can help to navigate even the choppiest of economic seas. Recent figures published by the Audit Bureau of Circulation, the magazine industry’s independent body for certifying copy sales and site-traffic claims, showed that out of the 357 titles audited by them, 130 had increased their circulations in the second half of 2016. Garden Answers? Up a whopping 41 per cent. Good Housekeeping? An 11 per cent increase that sees it recording monthly copy sales of 454,697. Country Living, Esquire and The Spectator all saw impressive rises. 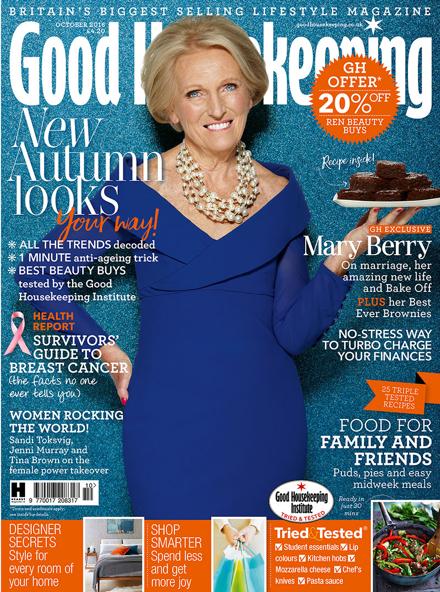 Good Housekeeping is one of publishing’s big success stories at the moment. Publishing is having to work harder than ever to make content that resonates, but the lesson for the digital world is that when publishing gets it right, it’s still a great example of how to make unique, creative content that’s irresistible for the target audience. Good Housekeeping costs £4.40 a month and it’s shifting nearly five-and-a-half million copies a year – and that’s to say nothing about the advertising revenue it brings in. Somewhere at Hearst Magazines HQ in London there are some very satisfied big cheeses looking at a Good Housekeeping spreadsheet, safe in the knowledge that every month, 454,697 people know what they’re getting and are surprised when they get it.